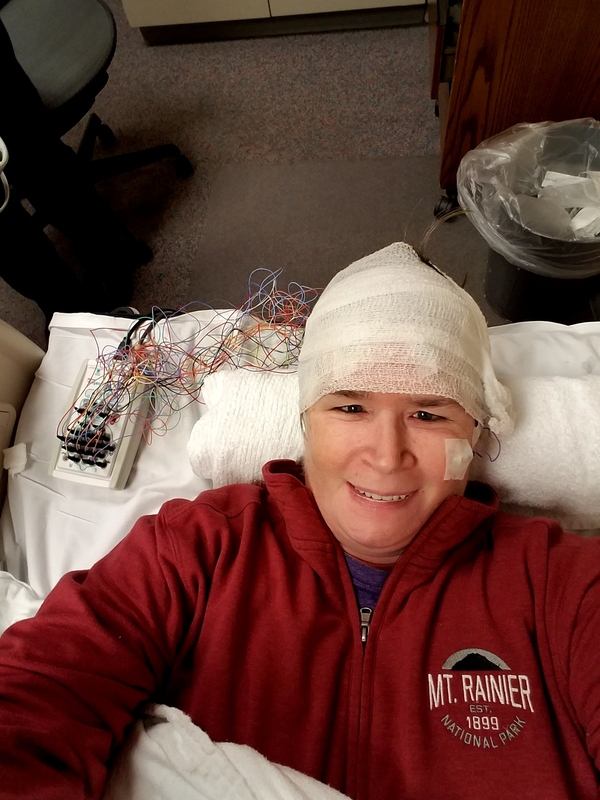 I’m finished with the EEG now. Someone forgot to tell me they would be wanting me to go to sleep when I got there so I got myself all woke up so I wouldn’t fall asleep… I was only able to doze off a few times. The tech said she thought they got enough information. I hope so. Now I wait.